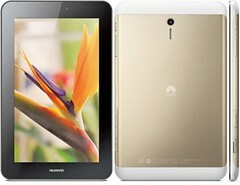 Huawei S7-721u its called as MediaPad 7 Youth 2. The display screen of Huawei S7-721u is 7.0 inch and the resolution is 600 x 1024 pixels. Huawei S7-721u equips it with 4 GB of internal storage including for operating system. You can insert a microSD card up to 32 GB. Huawei S7-721u has four ARM Cortex-A7 cores at 1.2 GHz processor with 1GB RAM and Andreno 130 GPU. Huawei S7-721u back camera is 3.2 mega pixels and front camera is 0.3 mega pixels. Huawei S7-721u comes with 4.3 jelly Bean Android version. Huawei S7-721u connectivity features are bluetooth, Wi-Fi, microUSB and DLNA. The battery of Huawei S7-721u is 4100 mAh. How to install rom in Huawei S7-721u? Now copy that dload folder to root for your sdcard. I need official firmware of Huawei s7-721u to flash, Build Number is “s7-721uv100r001c364b003”, or c364b0xx. can you help me?? On huawei official website i finde only C199, how i can download my required file? is it done use a VPN? or give me batter trick!